Cheesy Ranch potatoes are the perfect side dish to any family meal. This recipe is simple to follow and tastes delicious. Ranch, cheese, and potatoes are the perfect combination! 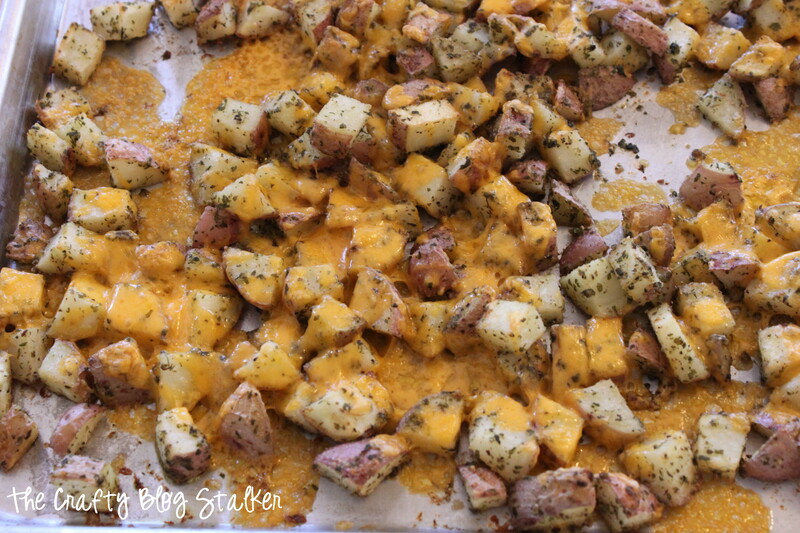 MMMM These Cheesy Ranch Potatoes are a family favorite and they are so simple to make! But first a quick tip. Whenever I am in the kitchen cooking or cleaning I must have my tunes. Did you know that if you put your iPod in a glass bowl it will magnify the sound to make your speakers even louder? You should try it, it really does work! 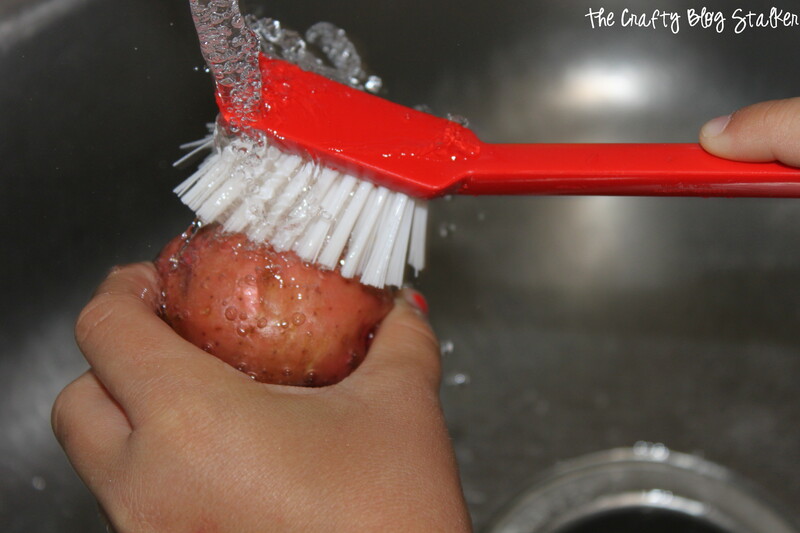 Start out by washing about 2 pounds of potatoes with a vegetable brush . The ones I am using today are red potatoes, but I have made these with just about every kind, I just use what I have on hand. 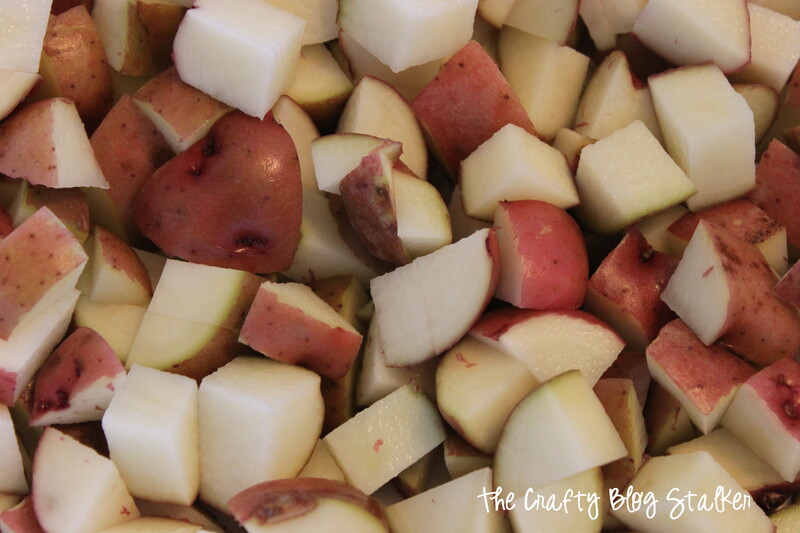 Start out by cutting the potatoes into little square pieces. Put all of the pieces into a large bowl. I am horrible when it comes to measuring I put in what I think looks right. 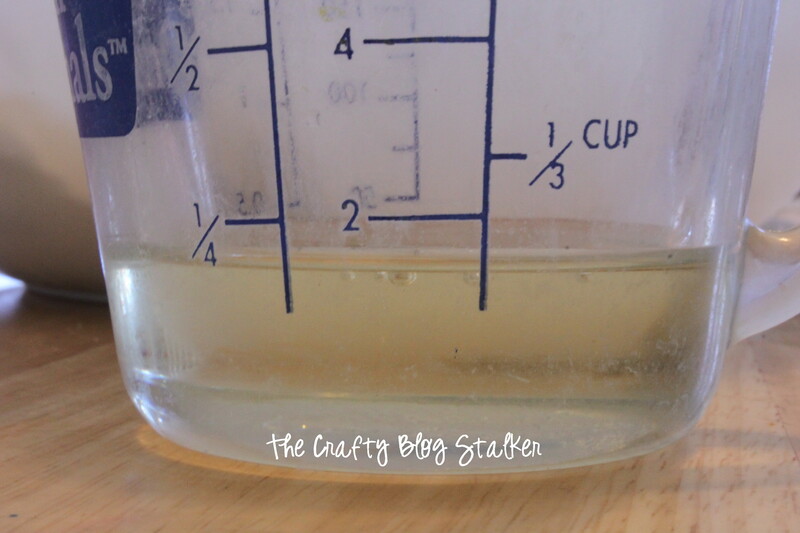 1/4 of a cup of oil looked like too much so I measured out just a little bit less. Pour onto the potatoes. 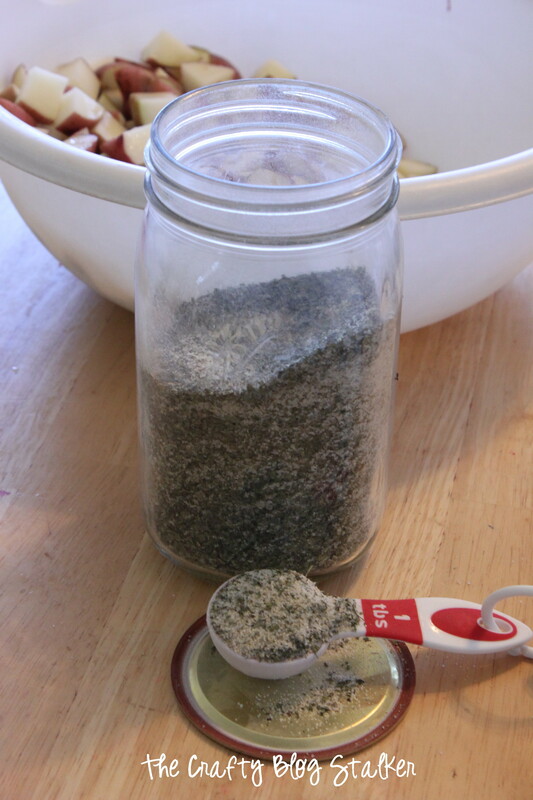 Remember the Best Homemade Ranch Recipe I shared a little while back? Add about 1 1/2 Tablespoons of the dry Ranch mix to the potatoes. 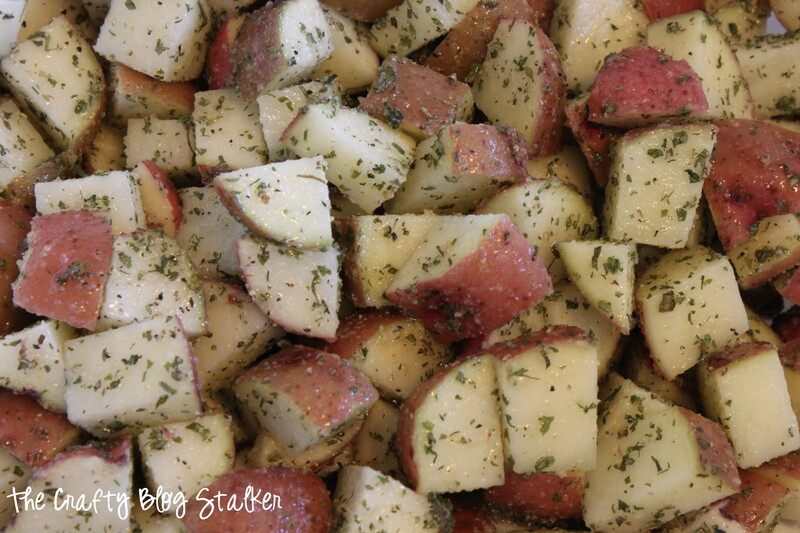 Stir until the potatoes are well coated in the dry ranch mix. Pour potatoes onto an ungreased cooking sheet. Bake 450 for about 30 minutes. You want the potatoes just a little brown. 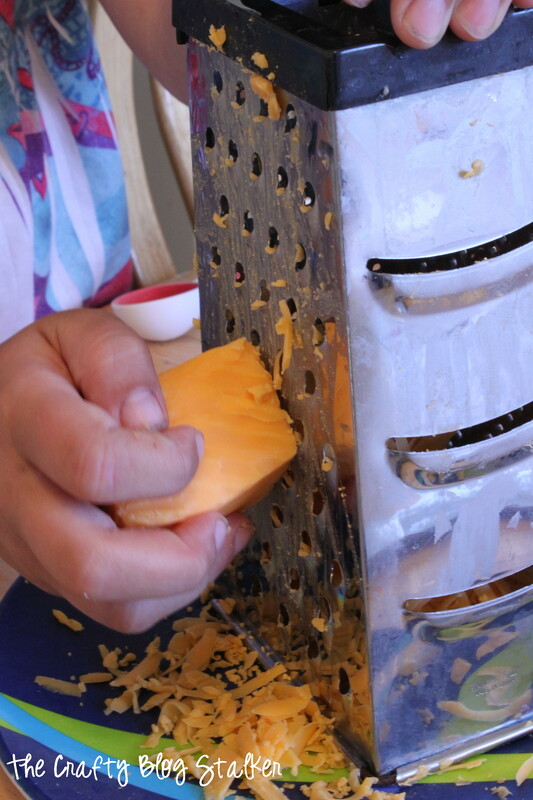 While the potatoes are baking, use a cheese grater and grate some cheese. I didn’t measure the cheese but my guess would be that I used about 2 cups. The cheese is my favorite part but since I am not in your kitchen supervising you have the freedom to add as much or as little cheese as you would like. When the potatoes are to the right brown crispiness that you like, sprinkle with cheese and put them back in the oven for a couple more minutes. Just long enough for the cheese to melt. Oh yummy! These are so good! 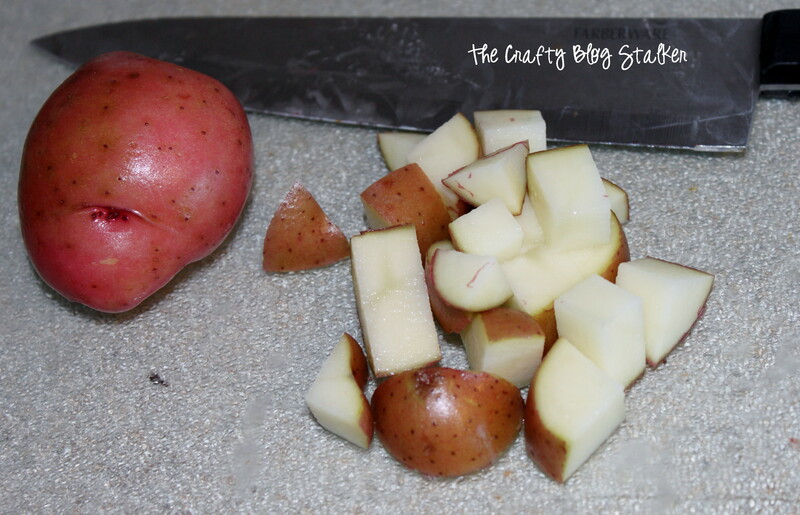 Cut potatoes into small bite size pieces. Combine oil and ranch dry mix until potatoes are well coated. Spread potatoes out on a large ungreased cooking sheet. Bake at 450 for 30 minutes or until potatoes are lightly browned. Remove from oven and sprinkle with shredded cheese and return to the oven long enough to melt the cheese. This will feed my family of 6 but it does not leave any for leftovers and sometimes we fight for seconds – but don’t worry the battle has never gotten bloody – yet. Ha, not only do you have an awesome recipe, but ipod tips as well. I am definitely trying that, they’re never loud enough. Thanks for sharing at our party this week. Yum! 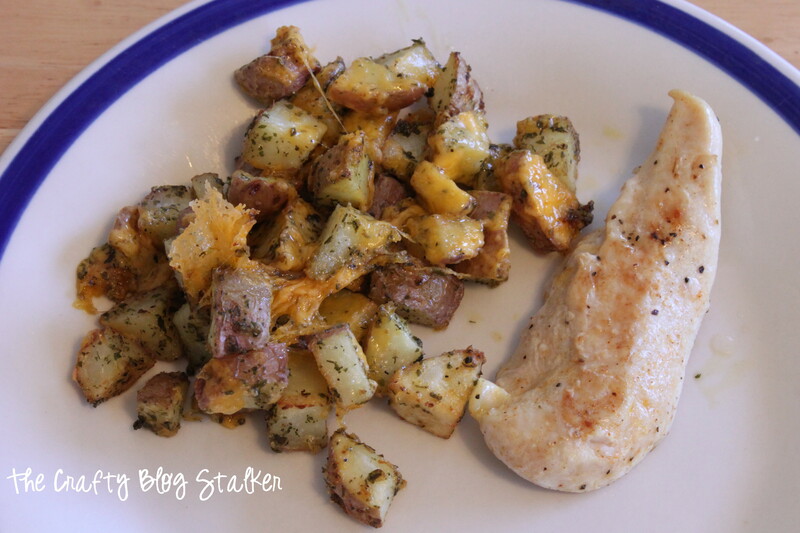 This recipe has 3 of my favorite ingredients: cheese, ranch and potatoes! Thanks so much for sharing at Tout It Tuesday. Hope to see you next week. I am so trying this! I often make potatoes similar to this – just oil and whatever spices I feel like. I’ve never thought to add cheese – the ranch mix sounds yummy too. Pinned! Thanks so much for sharing at Terrific Tuesdays. I wish I could find my iPod… hehe I would soo try that tip! Looks like a tasty side dish. I wish we had some of the great ingredients you’ve listed. I’ll have to look out for similar ones. Newly following via BlogLovin and LFs 🙂 Have a great week. Congrats for having one of the most popular recipes from last week’s Required Ingredient Link Party. I’ve featured this recipe on today’s party, and hope you’ll come join us again. Today’s ingredient is pumpkin.